LANCASTER – Local residents looking for new ways to bring efficiency and style to their properties should head out to a free Home Show, currently underway at the Antelope Valley Fairgrounds. 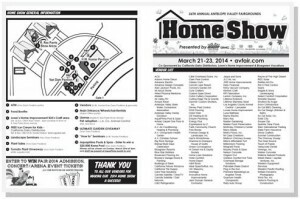 The 26th Annual Antelope Valley Fair Home Show kicked off Friday at noon at the Antelope Valley Fairgrounds, located at 2551 West Avenue H in Lancaster.The three day event continues Saturday, March 22, from 9 a.m. to 5 p.m., and Sunday, March 23, from 9 a.m. to 5 p.m. The Home Show features more than 120 diverse vendors. Professional Home Show exhibitors will showcase and demonstrate their products and offer time and money-saving advice. Agricultural seminars on subjects ranging from decorative desert landscaping and composting, to growing vegetables and Irises will be featured and led by experts, including Neal Weisenberger in the Van Dam Pavilion foyer. “How to” seminars will be demonstrated by Home Show vendors throughout the show in the H.W. Hunter Pavilion. View the complete vendor list, a vendor location map, and the schedules for “Landscaping” and “How to” seminars here. AquapHina Pools and Spas is giving away a $25,000 in-ground Kona swimming pool to one lucky attendee. The giveaway will be at 3 p.m. Sunday, March 23 at the AquapHina booth. The winner must be present at the AquapHina booth to claim the prize. To enter the giveaway, simply visit the AquapHina booth and ask for details. The deadline to enter is 2 p.m. Sunday, March 23. 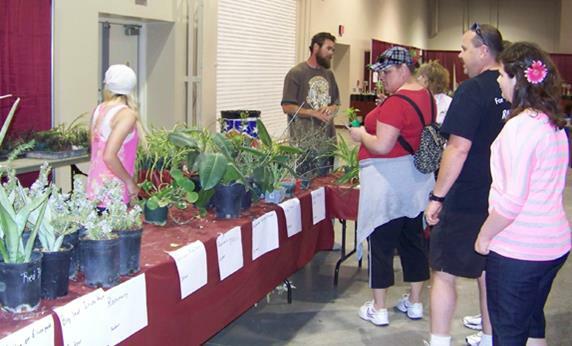 Home Show attendees can also win free products and services offered in the Ultimate Garden Giveaway by filling out entry forms at the participating on-site vendor booths. Details and expiration dates for prizes/services are available at the booths offering each prize/service. Winners will be chosen on Sunday, March 23. Restrictions apply. Activities for the kids include free “make and take” crafts projects sponsored by Lowes Home Improvement on Saturday and Sunday only, (10 a.m. to 4 p.m.); and free ice cream for kids 12 and younger at the A.V. Fair booth provided by California Dairy Distributors (while supplies last). 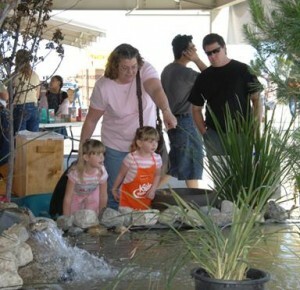 For more information on the 26th Annual Antelope Valley Fair Home Show, visit avfair.com.